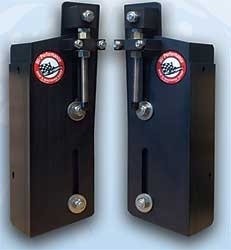 Bob’s Machine Shop’s manual jack plates are our lightest and cheapest jack plate option! Bob’s Machine Shop’s convertable manual MJ5 jack plate is actually 4 units in one! It can be 2.5″ setback or 5″ setback. And it can have a straight or negative 6 degree wedge. Fits V-6- pre-drilled to fit all late model V-6’s. Can be modified to fit any size outboard. 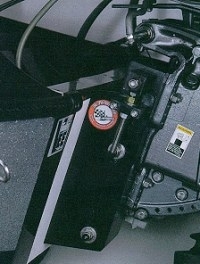 All manual jac plates have 2 ½“(6.3cm) of lift built in and 4”(10.1cm) of adjustable lift.